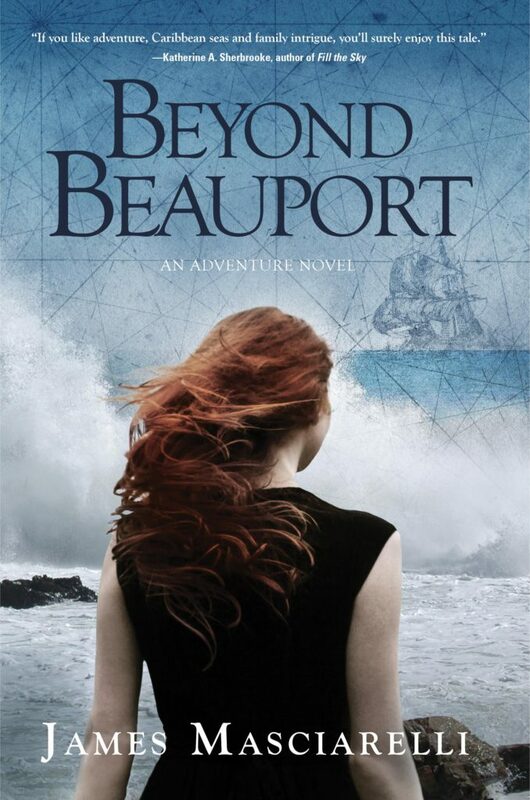 Readers of Beyond Beauport include sailors, boaters, beach readers and landlubbers. Sailors and non-sailors alike have expressed their pleasure of nautical descriptions and maritime history woven into the story. A brigantine, Second Wind plays a character and central image in my novel Beyond Beauport. I won’t reveal her secrets here. Brigantines were a favorite for Mediterranean pirates in the thirteenth century, when the design was a sail and oar driven set up. The Italian word brigante means rascal and bandit. The designs evolved, as did intrigue, wickedness, and defense! Brigantines became popular among British colonies of North America before the War of Independence. They evolved to become the perfect choice for privateering, piracy, smuggling and attending to protect fleets of larger merchant vessels. 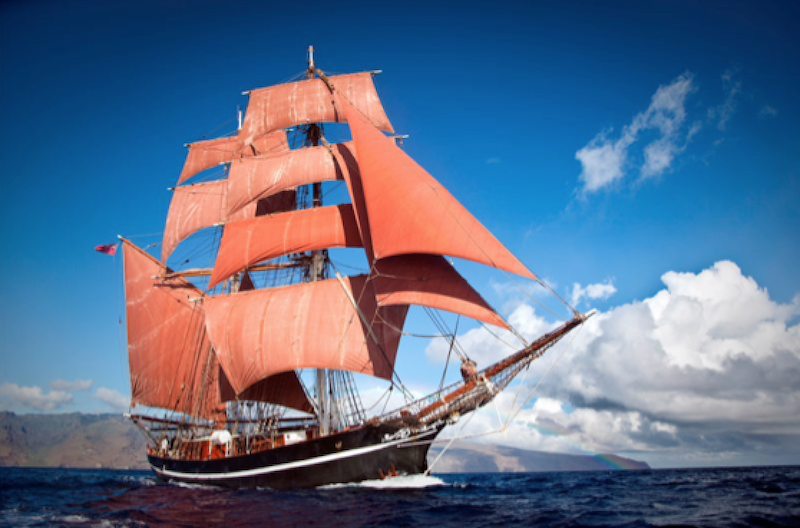 The vessel Eye of the Wind pictured in this blog is an excellent example of later designs, with a taller foremast fully square rigged and the mainmast fore and aft rigged. 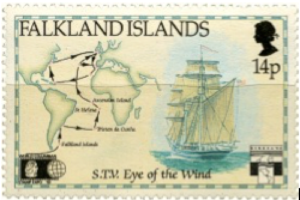 Eye of the Wind is a movie star that appeared in Tai-Pan, White Squall, and The Blue Lagoon. Which brings me to one of my favorite movies—White Squall, starring Jeff Bridges and Caroline Goodall on a school sailing voyage. 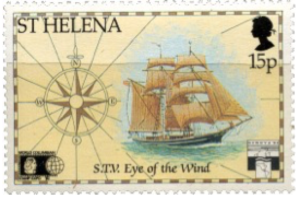 Eye of the Wind plays the ill-fated brigantine school sailing ship Albatross which sank in 1961, allegedly from an encounter with a white squall. While this 1996 movie, directed by Ridley Scott, was not a big box office success, I can assure you that it is a fabulous nautical adventure and human drama that you will want to see again and again. 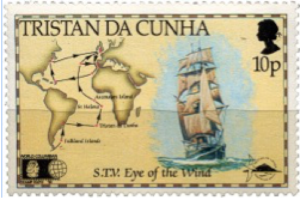 Here are stamps with old ports of call… Enjoy!